The Pipeline and Hazardous Materials Safety Administration (PHMSA) finds California’s meal and break requirements create an unnecessary delay in the transportation of hazardous materials (hazmat). The agency, as a result, is preempting the state’s law. What does the employment law require? Be off-duty during the meal period. Employees are also entitled to a 10-minute rest period for every four hours worked. How does the law conflict with hazmat requirements? PHMSA finds that being off-duty during the meal break is incompatible with hazmat attendance requirements. Specifically, drivers transporting Division 1.1, 1.2, or 1.3 explosives must not leave their shipments (§397.5(a)) to take off-duty breaks. And many carriers require constant attendance of other hazmat loads as a part of their hazmat security plans (§172.800). 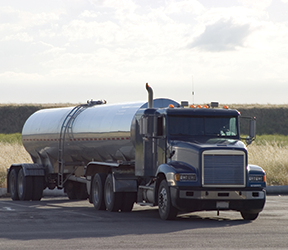 Consequently, PHMSA preempted the California meal and rest requirements for drivers of motor vehicles transporting any hazmat. How can PHMSA preempt a state law? A directive issued by the Department of Homeland Security. Can anyone challenge the notice? Individuals who disagree with the preemptive determination may contest the decision by filing a petition for reconsideration within 20 days of the notice, which appeared in the Federal Register on September 21, 2018. Individuals may also seek a judicial review by filing a petition with a federal court of appeals. As of the deadline of this article, no one had challenged the preemptive determination. While hazmat carriers might interpret this move by PHMSA to mean that they can immediately stop complying with California’s meal and break period requirements, it remains to be seen how the state of California or other stakeholders will respond to PHMSA’s dismissal of these requirements. If the state challenges the federal authority, a hazmat carrier may find itself in the middle of the issue, and could even be cited by California if it does not offer drivers breaks. As this issue may develop further, possibly even by finding its way into the court system, hazmat carriers might consider continuing with the state requirements until the dust settles. The views expressed in this article are those of the editor, and do not necessarily reflect the views of J. J. Keller & Associates, Inc. This article was featured in the Transport Safety Risk Management & Security Newsletter. The Transport Safety Risk Management & Security focuses specifically on motor carrier risk management and security. Includes the latest security news including regulations, current and pending legislation, security technology and best security practices. Click here to sample this newsletter for free.